Blade length : 52.6 cm or 20.70 inches. Width at the Kissaki : 2.13 cm or 0.83 inches. Kasane : 0.63 cm or 0.24 inches. 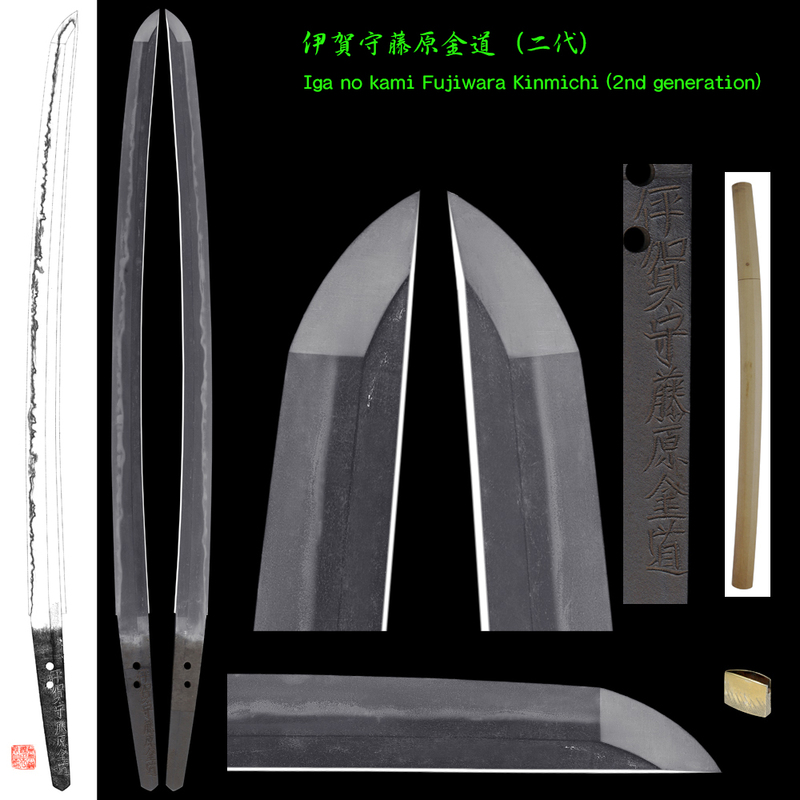 Shape : This blade is wide and thick Wakizashi. Jitetsu : Tight Ko-itame, with Jinie attach. It’s very beautiful Jitetsu. Hamon : Nie based, Notare and Gunome mix with rather wide Nioikuchi. There are Ashi in Ha. Special feature : Iga no kami Kinmichi was a great swordsmith in Kyoto. swordsmiths, when swordsmiths received Mei(signature) from Imperial court. 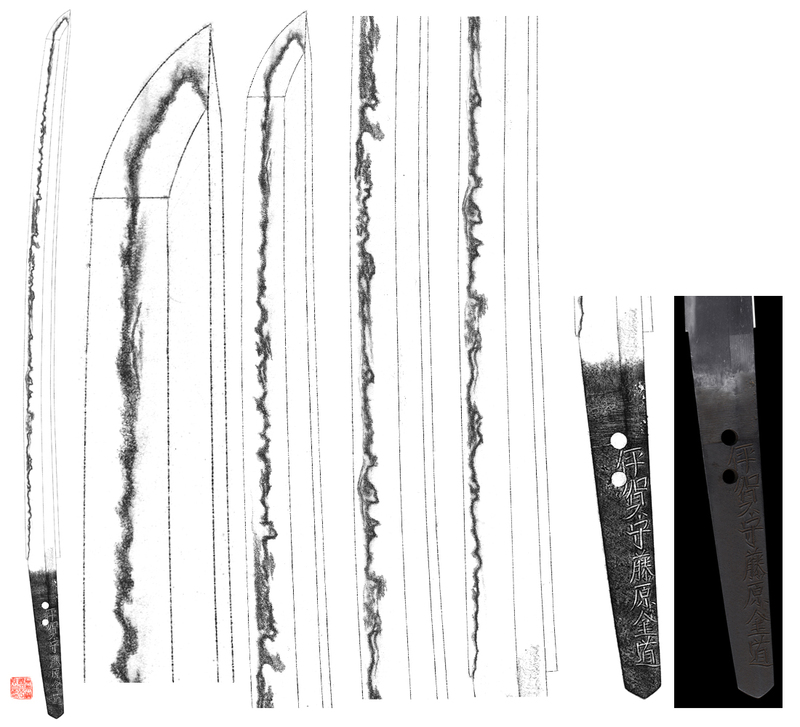 Igano kami Kinmichi was allowed to engrave “Kiku-mon” and “Nihon Kaji Sosho” for generations. It is said the 1st generation Kinmichi was equal to 9th generation Shizu Saburo Kaneuji. The 2nd generation Kinmichi was a first son of 1st generation Kinmichi. And he was called Mishina Kanbe. The 2nd generation Kinmichi succeeded the signature in 1637.